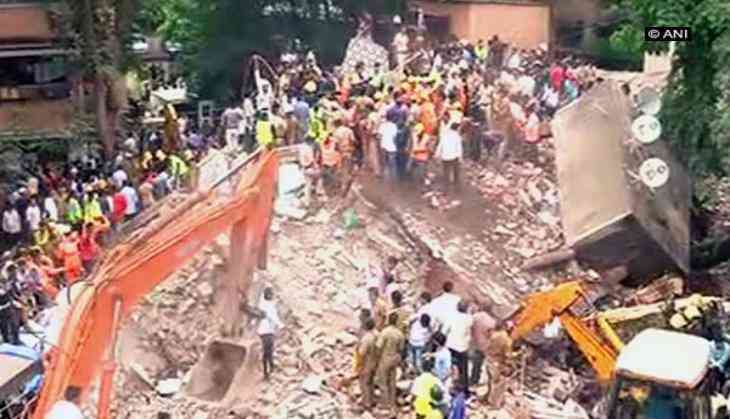 After four people were killed including a three-month-old baby following a deadly building collapse in Ghatkopar, Maharashtra Housing Minister Prakash Mehta announced an investigation into the matter and assured to take action in this matter. Meanwhile, over 30 people are feared trapped and efforts are underway to rescue them. "Two people are in the hospital and they are fine. Two to three people living on the fourth floor escaped unhurt. People living on the third and ground floor are trapped inside, their condition can only be told after they are rescued," Mehta said. "Fire brigade and all other facilities needed for the rescue of those who are trapped will be provided at the earliest" he added. Twelve people have been rescued so far and have been rushed to Shantiniketan hospital. The deceased were identified as Ranjanben Shah, 62, V Renuka, three-months, Sulakshana Khanchandani, 80, and a 45-year-old woman. The building is located on LBS Road, near Shreyas Cinema in Ghatkopar West. The Mumbai Fire Brigade has declared it as a major incident.